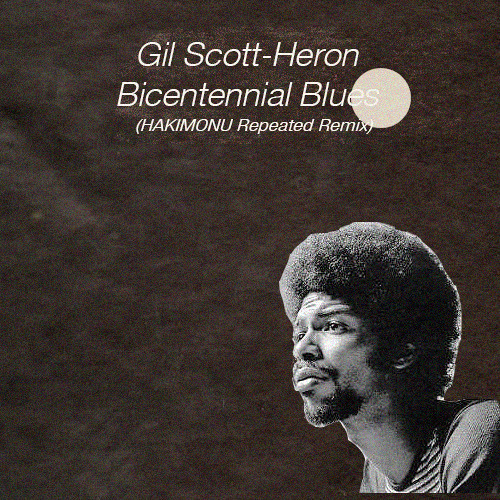 Gil Scott-Heron wrote this poem in 1976–America’s 200th birthday. Although written forty-three years ago, nothing has changed except the names and dates. It’s a BLUES YEAR y’all. AMERICA HAS GOT THE BLUES. Even the “winners” are living in a dark, depressing world where everything and everyone is perceived by them to be attacking them–closing in like a deep, dark, gloomy fog. A blue fog. AMERICA HAS GOT THE BLUES. And few people doubt that America is the home of the blues. And the world has snapped its fingers and tapped its feet right along with the blues folks. Why should the blues be so at home here? Well, America provided the atmosphere. America provided the atmosphere for the blues and the blues was born. The blues was born on the American wilderness. Born on the slave man’s auction block. The blues was born and carried on the howling wind. The blues grew up a slave. The blues grew up as property. The blues grew up in Nat Turner visions. The blues grew up in Harriet Tubman courage. The blues grew up in big city isolation. The blues grew up in the nightmares of the white man. The blues grew up in the blues singing of Bessie and Billie and Ma. The blues grew up in Satchmo’s horn, on Duke’s piano and Langston’s poetry, on Robeson’s baritone. That the blues has grown. The blues is grown now, full grown. The blues is grown but the country has not. The blues remembers everything the country forgot. It’s a bicentennial year and the blues is celebrating a birthday, and it’s a bicentennial blues. America has got the blues and it’s a bicentennial edition. The blues view might amuse you, but make no mistake, it’s a bicentennial year. A year of hysterical importance. A year of historical importance. Ripped off like donated moments from the past. 200 years ago, this evening. 200 years ago, last evening. The blues has grown up and the country has not. The country has been ripped off. Ripped off like the Indians! Goosed by aspiring vice presidents. The year the symbol transformed into the B-U-Y centennial. I fall into the latter category. And America has got the blues. Over partial periods of time. In all our self-righteous knowledge. and the truth relates to 200 years of people and ideas getting by. Ironic that the father of this country should be a slave owner. The father of this country–a slave-owner. And left America a legacy of hypocrisy. Now he acts like somebody might vote for him for president. It got by Jimmy Carter—Skippy. Got by Jimmy Carter and got by him and his friend the colonel. It got by Henry Kissinger. You’re stuck playing 2nd fiddle in a blues quartet! It’s a blues year for baby’s on buses! It’s a blues year for mothers and fathers with babies on buses! It’s a blues year for Boston! And it’s a blues year all over this country. America has got the blues. We would do well to join the blues looking for justice, liberty and equality! That is one powerful piece of work Ron. Thanks for sharing. Thanks Cuz! I heard that “whitey on the moon” features prominently in the new movie “First Man” (I think that’s the title.